The six-year-old was certainly not an unknown quantity when she joined Harry Fry, having cost 210,000 euros after winning three times in France. While it would be a stretch to say that looks money well spent for JP McManus, Dalila Du Seuil certainly got off on the right foot when winning a mares’ novices’ chase at Exeter before Christmas. 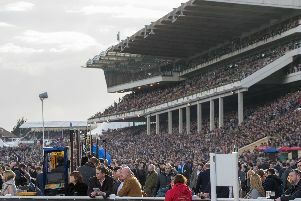 The form of that probably does not amount to much, but each of her three rivals has subsequently won and Dalila Du Seuil was far from hard pushed to get the job done that day. Her current rating of 149 puts her well ahead here and the conditions of the race put her at a huge advantage which should not be wasted. Global Dream is the pick in the My Dream Boat Handicap Chase. The nine-year-old was only beaten a neck last time out, an effort which presented a marked step up on his previous two outings. He looks as though a switch back up to three miles and five furlongs here will be in his favour. Knockgraffon can maintain his unbeaten record at Musselburgh by triumphing once again in the Watch RacingTV Now Handicap Chase. He recently struck gold at the Edinburgh venue when claiming a nice prize, with the reopposing Mixboy well held in third on that occasion. The nine-year-old has perhaps struggled for a bit of consistency in the past, but a recent wind surgery appears to have worked as intended. Liva found Irish raider Hannon too good here on New Year’s Day but can gain compensation in the Introducing RacingTV Handicap Hurdle. The winner narrowly missed out in Grade Two company and while Liva takes a bit of hike in trip, his class can tell. 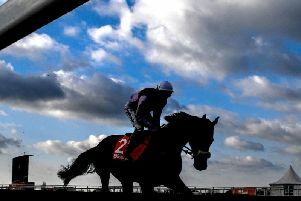 Wishfull Dreaming should appreciate easier conditions in the Join RacingTV Now Chase. He did not look totally at home on good to firm ground when third at Leicester last time, but he has been in excellent heart this term and is equally as capable over this two miles and a furlong as slightly longer trips. Camelia De Cotte will be hard to beat in the Naas Directors Plate Novice Chase in Ireland. She is looking for a fourth win on the bounce here and having hosed up by 20 lengths in a Grade Two contest on her most recent outing, she should shine again dropped slightly to Grade Three level. MUSSELBURGH: 2.00 Golden Wolf, 2.30 Wishfull Dreaming, 3.05 Knockgraffon, 3.35 Liva, 4.10 Scorpo, 4.40 Cousin Oscar, 5.10 Betancourt. NAAS: 2.10 Espanito Bello, 2.40 Stooshie, 3.15 Mister Blue Sky, 3.45 Camelia De Cotte, 4.20 West Coast Time, 4.50 De Name Escapes Me, 5.20 Valentina Lady. WARWICK: 1.50 Lock’s Corner, 2.20 DALILA DU SEUIL (NAP), 2.50 Eclair De Guye, 3.25 Zamoyski, 3.55 Global Dream, 4.30 Bahama Moon, 5.00 Newtide, 5.30 Shan Blue.